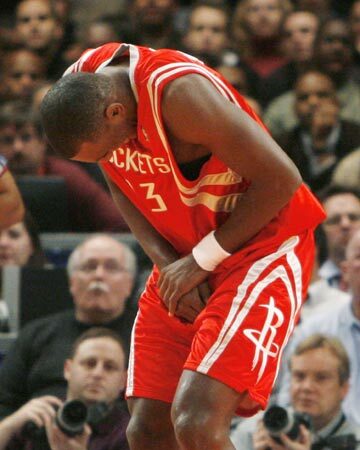 subpar game by Yao, only 26 and 9? What the hell is he doing out there? Low energy, low IQ, TO prone. Got his shot blocked a couple of times, even by Nate Roberson! How can a player 7'6 ever be blocked? Shaq is 7'1 and has never been denied before this season. If it weren't for Head and Skip's dagger down crunch time, rox would have lost for sure. Trade Yao for Curry please! Are you serious or joking? I did not think Yao played all that bad. Certainly not like the first time but I don't think he played subpar. You guys like stats huh? Look at the miss shots and turnovers instead, those are stats that need much more attention. Yao leads the NBA in total TOs. Yeah, along with AI and Kobe. What good is he for? Trade him for Warrick! Mr. nemo, please post averages not total. Useless without number of games played. Mr. rico, in your biased haste, you forgot Carmelo and Wade. Remember, these 4 guys are supposed play makers for their teams, and are turning the ball over more than a center. True, Yao needs to cut his turnovers but at least show some reservation in your one-sidedness. 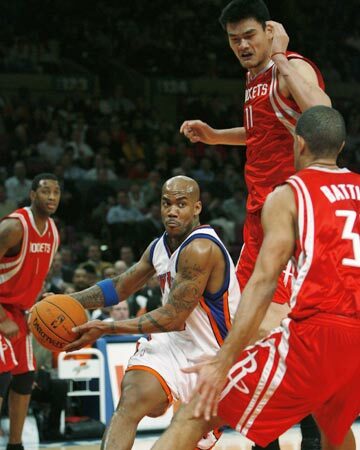 I'm simply stating the ball is going through Yao much more. 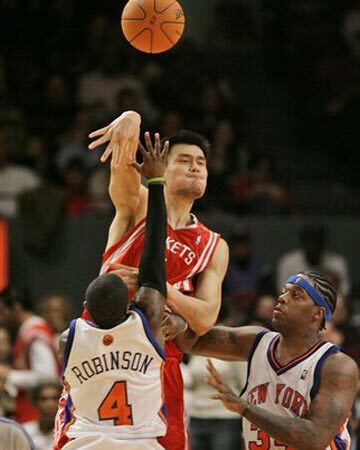 I know TO is a major issue for Yao this season, but you have to take the good with the bad. At least staying on court is no longer a problem for him, I hope, and he can try to perfect other aspects of his game from here on out. When vSpan just got in, and he poked the ball out of bound to prevent a sure fast break, JVG's express was a little bit disgudted by that - " What you are doing? " The way I see it, vSpan is fast! He just needs some play time to develop. He did have a TO and did not score, but he hustled. He hesitated in slashing and cutting, but in time he will do it well. It's amazing that it took an unfortunate injury to Snyder to push JVG to put Vspan in the game. He played well and really provided the fire and energy to win on the road tonight. You're an idiot JVG! You've been here long enough to know me. His TO was caused by a poor passing angle. I like his cutting and slashing too. He sure can beat a defender off dribble, and is very pesky playing in opponent's face. We just might see him a lot more since Kirk is out. 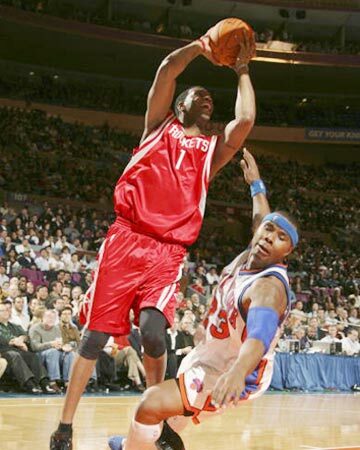 You are enigmatic, but I actually think you like Yao and wish that he could be as dominant as he can be. You seem very anti-yao but truth be told, you love yao just like all the fans here. but he got 0rb down crunch time when Mem took the lead. twice he didn't go for offensive rb in fear of foul, when Magic had to foul to stop the clock anyway. I missed the part where Snyder got injured. How serious is it?